Want to go to Ireland for your vacation? Ireland could be the right choice to spend your holiday. Ireland offers a complete variety of tourist attractions, ranging from the mountains, desert flowers, cliffs, lakes, and seas. But if you prefer to shop, maybe Dublin could become an attractive haven for you. In Ireland, you can also visit the the main tourist attractions such as Dublin Castle, Trinity College, The Custom House, and O'Connell Street. In addition, there are also pretty legendary tourist attractions and is known to the world community that is Temple Bar. Temple Bar is known as a center of culture and merriment for the people of Ireland. 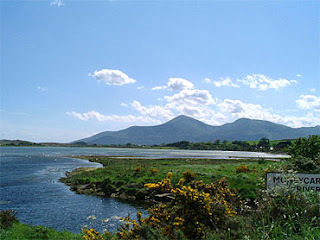 Below you will find details of some Great Ireland tourist attractions that you really should not miss. The Cliffs of Moher are a must-see tourist attractions if you are visiting the West of Ireland. It's an undulating landscape suddenly ends in a sheer drop of more than 650 feet, straight down to the Atlantic. One of the most spectacular coastal areas in Europe. A truly majestic scenery with boats looking like toys on the waves below. You can easily get a feeling you are standing at the end of the world. The cliffs where once the site for watch towers looking out for invading Vikings. 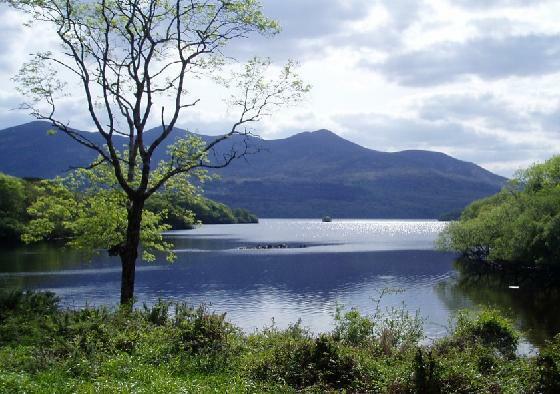 If you want to experience spectacular coastal scenery, breathtaking mountain landscapes, ancient monuments and the tranquil old-world-charm of Killarney's lakes, castles and houses, this is the place to go. 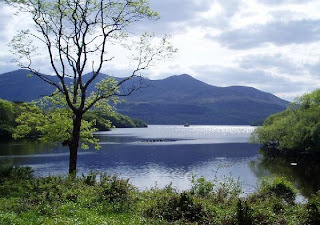 Killarney one of the most romantic settings in the world. Here you can also take a horse and carriage tour. Then take a trip to the Victorian Muckross House situated at the middle lake, visited by Queen Victoria in 1861. Make sure to visit the Giant's Causeway if you visit Ireland. Strangely regular basalt columns dominate the landscape and seem to lead across to Scotland. Though located in a quite remote area, the Giant's Causeway is definitely amongst the top ten tourist attractions in Ireland. 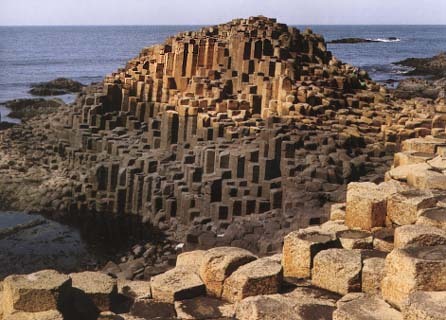 It's World Heritage Site with strangely regular basalt rock formations, formed around 55,000,000 years ago, reputed by the Celts to have been built by Finn MacCool. It's also become One of nature's true wonders. 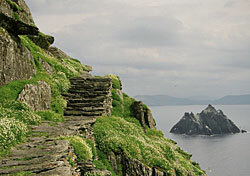 Skellig islands shoot up like two black pyramids circled by birds in the Atlantic ocean. These islands are the blue print for all magic mystical islands, the place you would imagine home for pirates, but in fact a monastic outpost of the Early Christian period. The archaeological value of the islands is as well known as it is well-preserved. To reach them is a one and a half hour boat trip leaving from Valentia during April to late September. The islands are also home for many varying birds species. 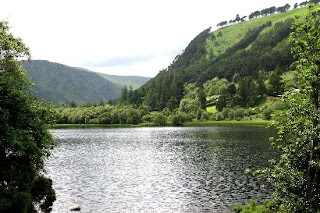 One of the most important early Christian sites in Ireland, Glendalough is a breath taking glacially sculpted green valley with steep mountains coming down to two tranquil lakes. As a true Oasis in the heart of the Wicklow Mountains National Park, Glendalough is one of the most visited locations in Ireland. 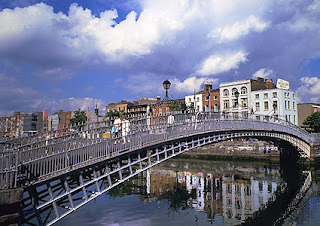 Dublin, the capital of Ireland is one of best tourist attractions to explore. Dublin is relatively small, however it's rich in history as well as full of sights and museums. Dublin has many best tourist atrractions. These are some place you must visit when you in Dublin: Guinness Storehouse, National Wax Museum, Trinity College Dublin, The Temple Bar. Croagh Patrick has been a site of pilgrimage, since Saint Patrick reputedly fasted on the summit of Croagh Patrick for forty days in the fifth century and built a church there. The walk to the summit might seem easy but be prepared for a two hour climb. 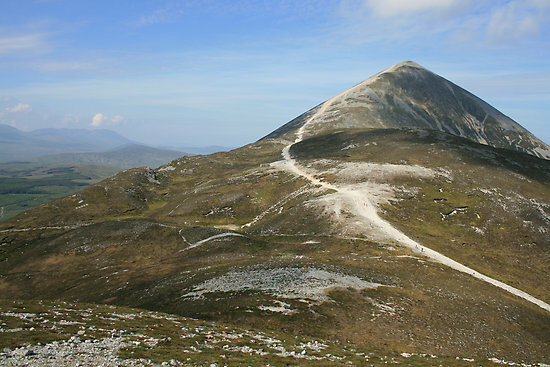 On the top you can enjoy a magnificent view over the Clew bay, with its many islands. A lesser known pendant to Kilarney is situated at the base of the Mourne mountains. The town has recently benefited from a multi million upgrade which makes it a high quality seaside attraction. Many visitors walk in the Mourne Mountains, You can also play golf at Royal County Down, or to just stroll up the prom and relax on the beach. You can also visit Tollymoore Forrest park. 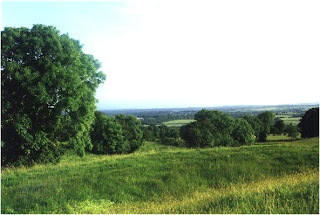 Tara is the ancient seat of the High Kings of Ireland and thus one of the most important sites on the Emerald Isle. In here visitor center explains importance of site in audio-visual show. 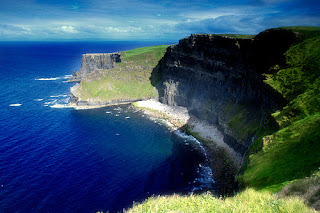 You can enjoy this major Ireland attraction while in a good weather It will be the amazing view. 23 meters over the Atlantic you cross over a tiny rope bridge, traditionally erected by salmon fishermen. Carrick-a-Rede island is the home of Fulmars, kittywakes, guillemots and razorbills which breed on the islands close to the rope bridge. Be prepared for a vertigo sensation as you look down or out on Rathlin Island and Scotland. 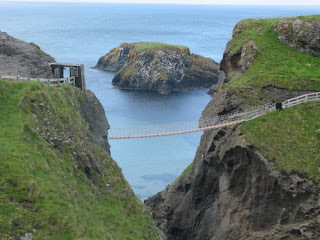 A short coastal footpath leads to Carrick-a-Rede Rope Bridge. On the way, there are wonderful vantage. It could be wonderful experience in your life to visit this tourist attractions.